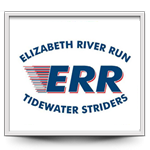 A runner must be a Tidewater Strider member in good standing and complete a minimum of 6 races. Races only count from date of membership forward. You must run at least 2 Tidewater Strider races to qualify for awards. Races are scored based on finish. 20 pts for 1st, 18 for second, 16 for third etc….. All finishers not in the top 10 will score 1 point. The Distance Series 6 mile, 12 mile, and the Shamrock Half Marathon will score at half the rate of the longer race ran that day. The Elizabeth River Run, The Memorial 5k, and the Turkey Trot, will be double points races. So 40 pts for first, 36 for second, etc… with all finishers not in the top ten scoring 2 points. Volunteering is encouraged and will earn you 10 points for every volunteering effort for a maximum of 50 points. Volunteer points cannot be greater than run points. I.e. if you earn 30 points for the year running and volunteer 4 times you will only be allotted 30 volunteer points. You can volunteer on race day for any given race provided you are doing so for the full time of the volunteer position. Your age on July 1st determines your Grand Prix age. Divisions will consist of Overall Men & Women, Masters Men & Women (40 and over) and Age Group (5 year) Men & Women. End of year awards will be given to the top three finishers in each Age Group (5 year) and to the top three in the Overall and Masters divisions at the annual Awards Banquet usually held in February. There will also be surprise awards for competing. A runner is eligible for only one award. You must complete the Grand Prix event in the time allotted for the event in order to earn points. For example, if it is a 5k and the course limit is 1 hour you must complete that event in 1 hour. You cannot score points in a Grand Prix event as a Runner in which you are also opting to score in that same event as a Walker. This only applies to events that both the Walkers and Runners share. You must let the Grand Prix coordinator of the given committee know which Grand Prix you would like to be scored under for said event. For 2018, please contact Lisa Armistead if you would like to participate; lisa.armistead@hotmail.com or (757)748-7512. An individual must be a Strider member in good standing and complete a minimum 3 out of the 13 races. You do not need to score in 3 races – just complete 3. Points are awarded for placing first through tenth (25, 20, 16, 13, 10, 8, 6, 4, 3, 2) in your Grand Prix age group. Volunteering is not a requirement; if you do volunteer, you will be awarded 50 points. You have to volunteer at one Strider function (e.g. pre-race, day of Strider race, or any other opportunity by contacting the volunteer coordinator listed in the Run Down). If it is a “Strider Supported” race, volunteering must be performed under the direction of the finish line crew. Volunteering must be performed before 12-1-2018. All volunteering after this date will count towards 2019. The Multi-Sport Grand Prix will follow the USAT Age Group Rules. Your age group placement will be calculated based on your age as of 12/31/18. Divisions will consist of Overall Men and Women, Masters Men and Women (40 and over) and Age Group Men and Women. End of year awards will be given to the top three finishers in each age group and to the top three in the overall and masters divisions at the annual Awards Banquet usually held in February. An individual is eligible for only one award. The Grand Prix committee reserves the right to substitute races in the event of a cancellation. Any questions, please contact Lisa Armistead via e-mail. To clarify, if you want to participate in the 1 mile YGP you must run a minimum of 5 (1 mile races). Participation in the New Energy Youth group is not a requirement for YGP, but is highly encouraged. To enter the Youth Grand Prix, click “Join Us” on the New Energy web page. All Tidewater Strider Youth Grand Prix races will be one mile events for the 1 mile YGP. The schedule will be posted online under Grand Prix 2018 Schedule. Your YGP age group is determined by your age on July 1st. (Examples below)1. If a runner’s birthday is 4/15/2002, which makes their age 15 on 7/1/2017, then their YGP age group is 15-16 for all events in 2017 YGP series. 2. If a runner’s birthday is 8/15/2002, which makes their age 14 on 7/1/2017, then their YGP age group is 13-14 for all events in 2017 YGP series. End of year awards will be presented at season ending YGP Awards Party to the top three finishers in each age group based on total points accumulated. Points are awarded for placing first through fifth (10, 8, 6, 4, 1) in your Youth Grand Prix age group. Points are awarded to eligible youth Tidewater Strider Members regardless of place in field. Volunteering is not a requirement, but if you do volunteer, you will be awarded a one-time bonus of 10-points. Volunteer service must be provided at a Tidewater Strider Event prior to the end of the YGP season. (Volunteering at the last race of the YGP season will count, i.e. helping at the Turkey Trot water stops) . A runner must be a Tidewater Strider member in good standing by the end of the month in which an event is run to be eligible for points for that event. No back dating of points from prior events will occur, unless an omission or miscalculation of an eligible runner. Updated YGP Standings will be posted within one week or as soon as possible after the completion of each YGP event. YGP Standings will be posted using your July 1st age group. Note: there is no 5K YGP Series for 2018. Note: The Youth Grand Prix committee reserves the right to substitute races in the event of a cancellation. Grand Prix Competition Points will be awarded to the first 10 Tidewater Strider member finishers as follows: 10-9-8-7-6-5-4-3-2-1. The top five (5) men and top five (5) women competing in at least three (3) races and receiving at least one (1) judging credits will receive Grand Prix awards. Only the top three (3) races for each individual will be scored for the final Grand Prix standings. 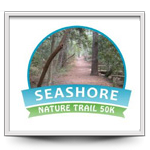 You must be a Tidewater Strider member no later than the day of the race to earn any points. Those interested in being a part of the Tidewater Striders Walker Grand Prix’s must declare their intention to participate BEFORE doing their first Walk Grand Prix race. Failure to declare will result in no points being awarded. However, there will not be a penalty for declaring and failing to meet all the other requirements. USATF Rules of Competition apply to designated races (e.g. 1500M race walk of the Strider Mile and the One Hour Postal Race Walk). For all other non-USATF Rules of Competition races, walkers must walk the entire race distance. Violating USATF rules in designated races and running or jogging at any time during non-USATF designated races will result in removal from the race’s walk division. Walk Judges will be used at all WGP races to ensure that walkers observed running or jogging are removed from the race’s walking division and that their race results are moved to the appropriate running age group.